In today’s content-driven marketplace, effectively delivering product information to a targeted audience is the key to a successful print campaign. With a new portfolio to present financial wholesalers, Jackson Financial needed an effective vehicle to communicate how its programs were different from its competitors and delivered real results. A longtime client of Americhip, Jackson Financial was well aware of our full toolbox of innovative Digital and Multisensory solutions. 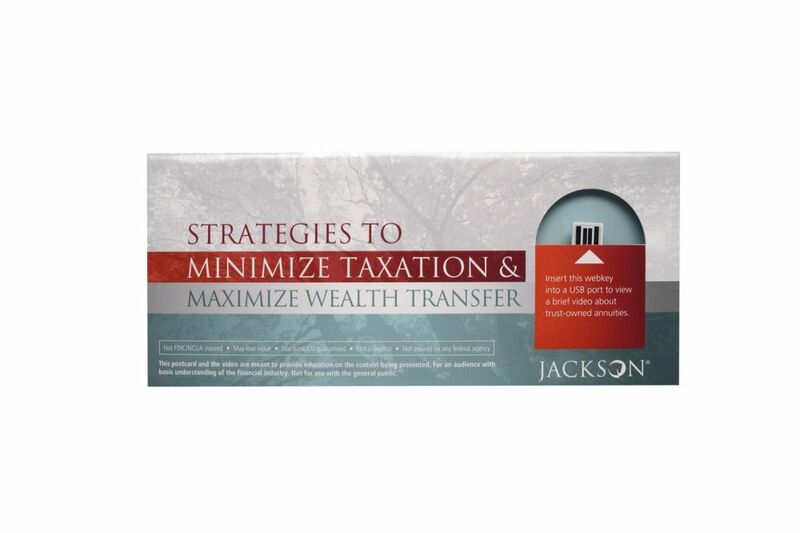 While it had a compelling video it wanted to share with its clients, Jackson Financial did not have the necessary budget for this campaign to deploy our patented Video in Print Technology. 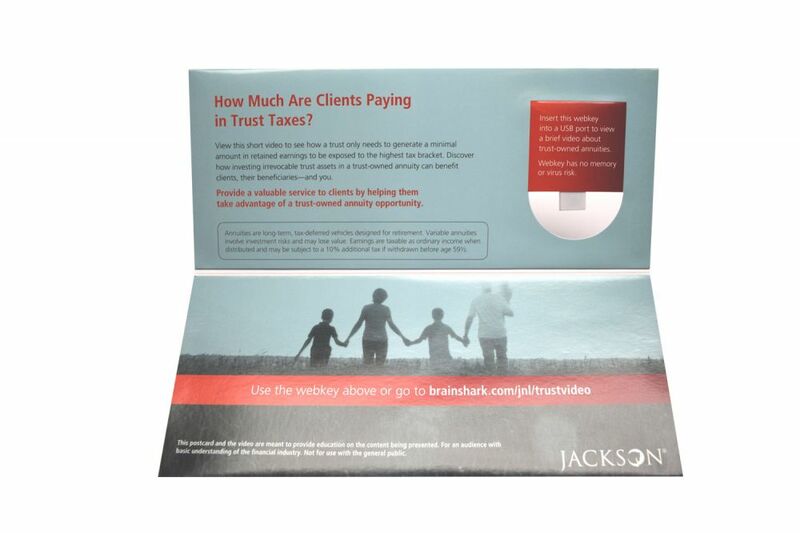 Instead, Americhip worked with Jackson to design a creative pull-out Webkey brochure to deliver its marketing message. Webkeys direct customers to a pre-determined landing page where they can watch videos or engage in digital content prepared specifically for a given campaign. In this case, financial wholesalers plugged the Webkey into their laptops or computers to gain access to a new video detailing Jackson’s “Trust-Owned Annuities”. And, by personally matching the mailer and the unique Webkey identification number, Americhip is able to provide consumer-specific analytics and performance data to our customers. Jackson confirmed the huge response they received on the Webkey mailer and have already scheduled another Webkey mailing for this next quarter. Generate real engagement and increased ROI with Americhip’s Multisensory and Digital Technologies.